Florida may not often see snow in the winter, but road conditions do change when temperatures drop, even without ice or snow on the roads. These changes can mean that people will react in ways that are not necessarily predictable. It is a good idea to take some simple precautions to ensure that if you are in an auto accident this winter, it will not be because you ignored the possibility. Ensure Your Car Is Maintained Properly. While this may seem like common sense, it is not at all uncommon for accidents to occur due to a fault or latent defect in one or both automobiles involved. 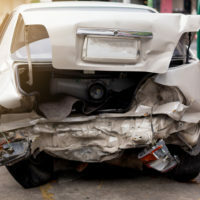 If this happens to you, you may be able to bring suit against the maker of the automobile or the part involved under a theory called product liability. A product liability lawsuit in Florida is usually brought when either a design defect, manufacturing defect, or a failure to warn consumers of potential dangers can be shown to have contributed to the plaintiff’s injuries. Slow Down. While obviously everyone wants to get where they are going, in winter weather – even if the roads do not have ice or snow on them – the pavement can respond differently to traffic than it would in warmer times. Also, if there is fog or even the possibility of bad weather, many drivers will slow down even if you do not. Generally, Florida law suggests that you drive neither fast enough to go against the flow of traffic, nor slow enough to impede it. Be Aware Of Snowbirds. The University of Florida news has estimated that the state’s population fluctuates by as much as 20 percent during one calendar year, with the arrival and departure of so many. However, it is important to keep in mind that the majority of the new influx is elderly people, most of whom may have no idea how to navigate Florida streets, especially if they are coming from smaller towns and visiting big cities. While they may not actively intend to pose a danger to other drivers, it is possible that their slowed reaction times and unfamiliarity with the surroundings may do just that. Be Prepared For Inclement Weather. While actual ice and snow is very rare in central and southern Florida, heavy rains and fog are more common. In the event of either weather pattern, visibility is absolutely critical – if you do not have it, do all you can to maximize it. Lights should be on (steadily, not blinking), and speeds should be slow. In some areas, being doubly alert for road surface issues is also a good idea – depending on the locale, pavement and blacktop can crack and break with too much moisture or temperatures which are too cold, creating hazards that drivers are often not equipped to avoid until too late. While inclement weather and cooler temperatures are no one’s fault, accidents that happen when these are a factor are sometimes avoidable. If you have been in a winter accident and need advice, contacting an experienced attorney can be an enormous help. The Tampa car crash attorneys at the Rinaldo Law Group can sit down with you and try to help you decide how best to proceed with your claim. Call us today for a free consultation.